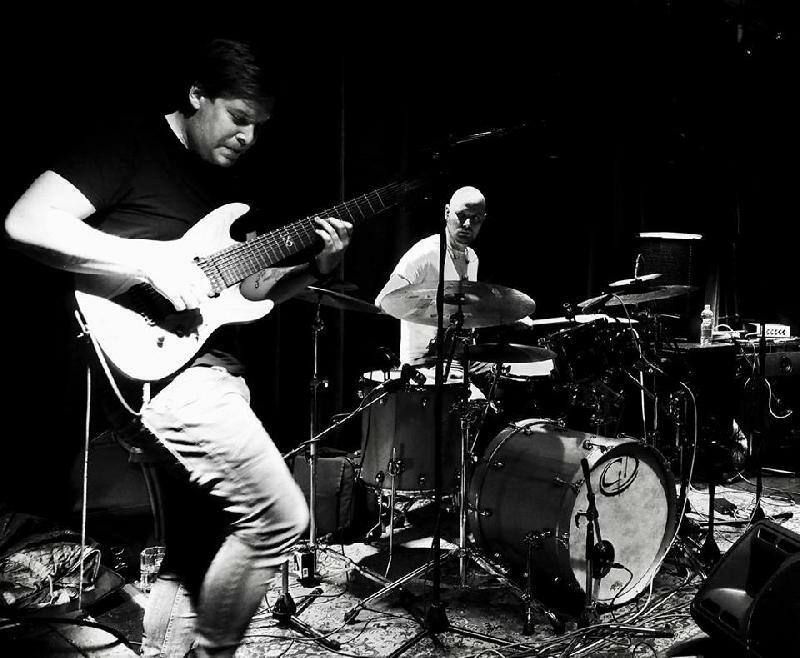 Das siebenköpfige Math-Rock-Free-Jazz-Prog-Koloss PINIOL steht für die absolute Überzeugung, dass mehr mehr ist. Warum nur mit einem Schlagzeug, Bass und einer Gitarre arbeiten, wenn nicht auch ein Verbund von je zwei plus Keyboard möglich ist? Virtuosität und Einzigartigkeit garantiert! 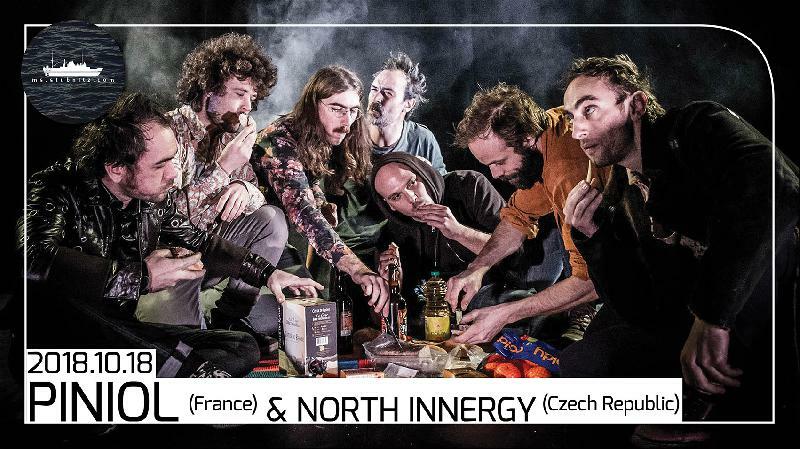 Support: Die tschechische Prog-Fusion-Math-Rock Band NORTH INNERGY. Math-Rock Free Jazz Prog Behemoth PinioL is a septet that thunder along with the conviction that more=more. Why just one drummer, bassist, guitarist if you can have two of each!? Supported by Chzech Prog Fusion Math Rock band North Innergy. On stage, PinioL are two bass/drum/guitar trios, one on stage left and the other on stage right, separated, or maybe linked, by a keyboard player, the central and converging point. All these elements put together give an impression of strangeness: Are we seeing double? Maybe yes, maybe no, but definitely, that state of uncertainty is an invitation to lose your senses and surrender. 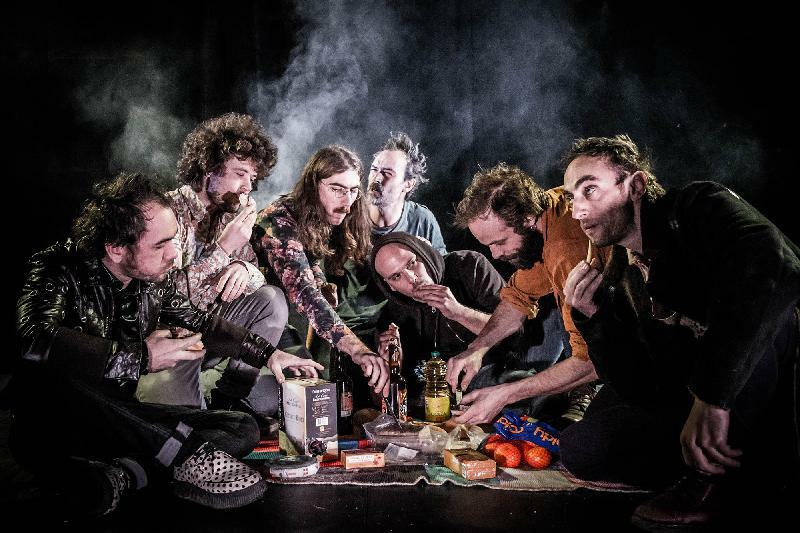 You are expected to give in to the unclassifiable music - a music that is both well thought out and (un)intentionally primal - that you will hear on Bran Coucou, the latest album produced and released by Lyon-based collective Dur Et Doux. From frontal bits to dry and stocky sections, PinioL won’t chose between maxi and minimalism and state their singularity loud and clear in their syncretic approach of musical extremes that could be quite hard to associate at first sight. The result is a good surprise: Bran Coucou is amazingly digestible and will have a single consequence: the need to see the whole thing live. For the stage is without a doubt the favourite playground of this one-of-a-kind league (accompanied by the sound creations of Florian Bardet and Judicaël Brun, and the stage design and lights of Pierre Josserand) that make each concert a true audio and visual immersive experience. You get it, the PinioL maze has several entrances but only one way out: ecstasy!